The New Savages are an electric and original take on the Delta Blues. Lead singer Milan’s striking baritone vocals evoke the spirit of a great poet. His guitar playing is the sound of a simple, primitive and hypnotic blues boogie – one that sounds as though it was developed at the dawn of time. Last year they ended their marathon 50 date Australian tour at Murrah Hall. After 32,000km they ended up at Murrah in the middle of June. That day they found a beautiful hall, and some amazing locals that they fell in love. Which means they are very excited to come back. 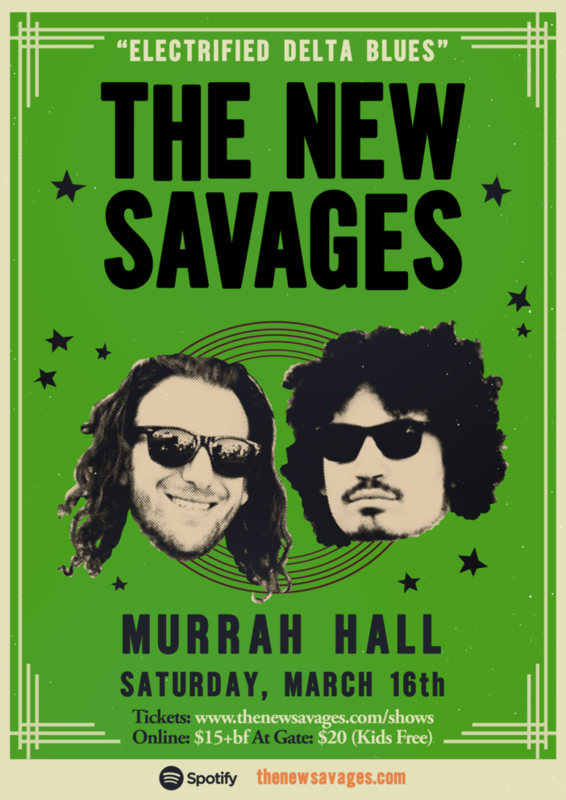 Saturday night, March 16th The New Savages appear at Murrah Hall again. Come and have a listen to their hypnotic, spiritual blues boogie. And then get on your feet and have a party – it’s Saturday night! Alcohol is BYO! Tickets are $15 + BF online or $20 at the door.